Nothing to Envy: Ordinary Lives in North Korea. By Barbara Demick. Spiegel & Grau, 314 pp., $26. In Nothing to Envy, Barbara Demick adapts the structure that her writing teacher John Hersey used in his great Hiroshima, which tells the stories of six people who survived the bomb that fell on their city. But she makes the form her own in this wonderful book about a half dozen North Koreans who fled the hereditary communist dictatorship of Kim Il-sung and his son, Kim Jong-il. The Kims tightened their grip to keep residents from learning the extent of their oppression. North Koreans could not use the Internet, watch movies and television programs not made by the state, travel to nearby towns without a permit, or call or write to relatives in South Korea. And during the famine of the 1990s, many could not eat. An estimated 600,000 to 2 million North Koreans died because the regime would not work with governments that might have helped. Many survived by eating grass, corn husks, or ground pine bark. Demick shows the catastrophic effects of all of it by tracing the lives of four women and two men from the city of Chongjin, all of whom escaped to South Korea by dint of forged passports, bribed border guards, or other cloak-and-dagger efforts. Some of her most moving stories involve the legions of sick, orphaned, or abandoned children whom two of her subjects, a pediatrician and a kindergarten teacher, were powerless to help. One man told Demick that on some days, the cleaning staff removed as many as 30 bodies from the station. It is far from the worst of the catatastophes described in Nothing to Envy. To get such stories, Demick had to earn great trust from defectors who had grown up under one of the world’s most xenophobic regimes. On the evidence of this book, she deserves every bit of it. Best line: “North Korea was chronically short of chemical fertilizer and needed to use human excrement since there were few farm animals. Each family had to provide a bucketful each week, delivered to a warehouse miles away.” This requirement existed under Kim Il-sung, the communist dictator who led North Korea from 1948–1994. 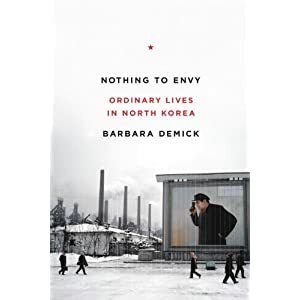 Worst line: Demick says in the last line of Nothing to Envy that the lives of her subjects “like Korea itself, remain works in progress.” But by the time you get there, you can’t hold the cliché against her. 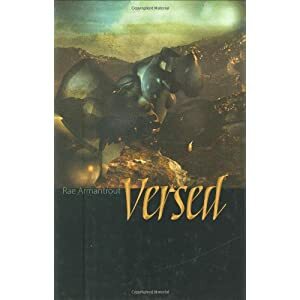 Recommendation? Go for it, book clubs. 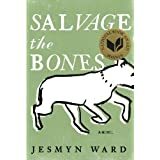 Furthermore: Nothing to Envy has made the longlist for the 2010 Samuel Johnson Award for nonfiction and was a National Book Awards nonfiction finalist. Read an excerpt from Nothing to Envy here. About the author: Demick is the Beijing bureau chief of the Los Angeles Times. She grew up in Ridgewood, NJ, and wrote: Logavina Street: Life and Death in a Sarajevo Neighborhood. You can also follow Jan Harayda (@janiceharayda) on Twitter. She satirizes American literary culture on her Fake Book News (@fakebooknews) page on Twitter.